Urgent Appeal of Behalf of the African Elephant. K. S. B. Keats-Rohan (Oxford, U.K.), Christian Settipani (Paris, France). What is Prosopographica et Genealogica? 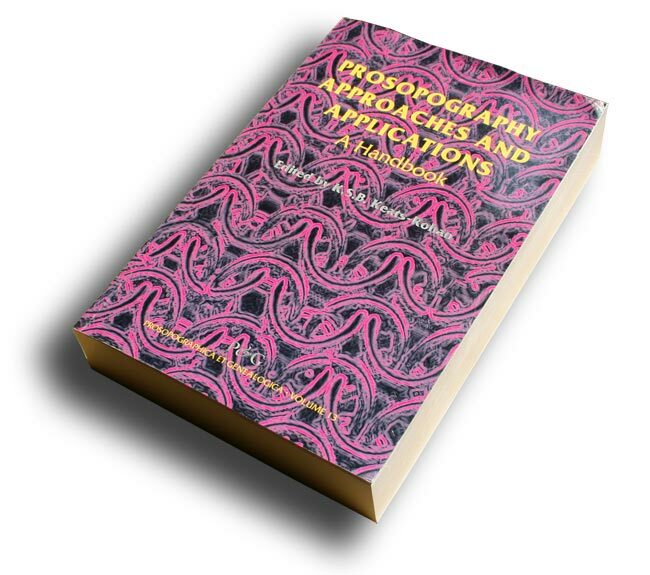 Prosopographica et Genealogica is a now well-established series of scholarly monographs and collections of papers on aspects of prosopography, including onomastics and genealogy. Titles published to date cover Classical and Medieval subjects. Our next book will deal with the medieval Islamic Hijaz region. It is hoped that future titles will also cover the modern period. The series aims to offer scholars the chance to publish in full the very detailed work that prosopography demands, at affordable prices. It is currently the only series to offer affordable prosopographical monographs. This collection of twenty-nine essays, ranging from ancient to modern history and including Arabic-Islamic prospography, covers all aspects of prosopography as currently practised. The book provides an introduction for newcomers who have picked up hints that they should be looking at prosopography, but have little idea of what it is and how it operates. For more experienced practitioners it presents a range of different approaches and new applications of the prosopographical method. The introductory material aims at being helpful to both audiences by operating at two different levels. A primary level gives a broad introduction to prosopography as a whole and a discussion of how it relates to different areas of history and allied disciplines. For the complete, or relative, beginner, the Short Manual to the Art of Prosopography is the essential starting point. A secondary level provides more advanced discussion of certain aspects, such as a survey of the evolution of ‘prosopography’ as both word and method, the central question of identity, the biographical register and the question of names. 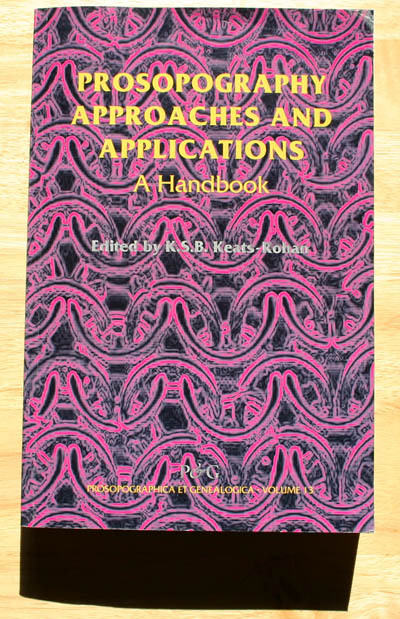 The latter part of the book (Part II) offers a number of case studies as concrete illustrations of aspects of the method, such as defining the population to be studied and establishing the criteria on which a study will be based, or different analytical approaches, such as Social Network Analysis. A substantial Select Bibliography is also included. III. THE DESCENDANTS OF TALHA B. ‘UBAYDALLAH. 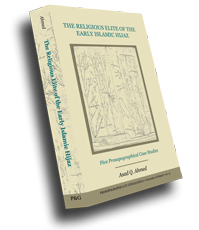 This book studies the careers of the descendants of five important religious élite families of the Hijāz for the Umayyad and early ‘Abbāsid periods (40-218 AH). The eponym of each family was among the earliest and most celebrated converts to Islam and each was a viable candidate for the caliphate after the murder of ‘Umar I (d. 23 AH). Yet, though two among them did rule as caliphs in a highly volatile milieu, no direct descendant of theirs was ever able to assume the supreme rule of the Muslim polity after them. What happened to these highly prominent families? This book presents the sociopolitical trajectories of these élite families. The Arabo-Islamic historiographical tradition not only ignores the sociopolitical history of the early Islamic Hijāz, but it also confronts the historian with many insurmountable technical challenges. The problems of the paucity of the desired narrative historiography and the notoriously unwieldy sources can be overcome if provincial history is made to depend on prosopography, i.e. if it is taken to be a history of individuals belonging to identifiable groups. Insofar as they belong to increasingly wider categories—family branch, family, clan, tribe, etc.—that have a diachronic presence, a detailed and reliable sociopolitical history of the Hijāz can be reconstructed. This is what this book aims to do in a preliminary way on the basis of the five families. The body of the book addresses three subjects: (1) the potential use and abuse of Arabo-Islamic genealogies and prosopographies for writing provincial histories; (2) kinship and marriage in early Islamic Arabia generally and, more specifically, the importance of cognate and marital links for social ascendancy and for the creation of quasi-corporate political blocs that cut across tribal and agnatic lines; and (3) the social and political history of the Hijāz. As for the last point, in summary, this book shows that, with a few exceptions, ‘Abd al-Malik (r. 65-86 AH) had been able to reconcile with the Hijāzī élite by the end of the counter-caliphate of ‘Abdallāh b. al-Zubayr (r. ca. 63-72 AH), plying them, as Mu‘āwiya (r. 40-60 AH) had once done, with gifts and political posts. As his program of centralization became more oppressive in his last years, so too did his relationship with an increasingly disenfranchised Hijāzī élite become more strained. By the end of the reign of al-Walīd (r. 86-96 AH), the Hijāzī élite had mobilized again, this time forming two blocs—one under the leadership of the Hasanid ‘Alids and the other under the initial joint leadership of the ‘Abbāsids, Husaynids, and Hanafiyya. It is the movement of these two groups that culminated in the demise of the Umayyads (40-132 AH), after which the élite structures were again reshuffled. In the early ‘Abbāsid period, the marginalized élite who had once been attracted to the Hasanid block were again absorbed into government service in the Hijāz. During this time, one also begins to notice the gradually increasing cooperation of the various ‘Alid lines. Due to the size and weight of this publication there are two purchase options below based on the delivery location. Copies may be purchased online at www.coelweb.co.uk from 6th November 2017. Anyone interested from outside the UK and Europe, and North America, should contact the editors at books@coelweb.co.uk. 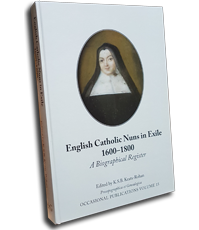 All the information on over 4100 individual nuns available online since 2012 is found in this Biographical Register, which has benefitted from several years of additional research by editor Dr Katharine Keats-Rohan, much of it summarized in the detailed annotated genealogical tables found on the accompanying CD. 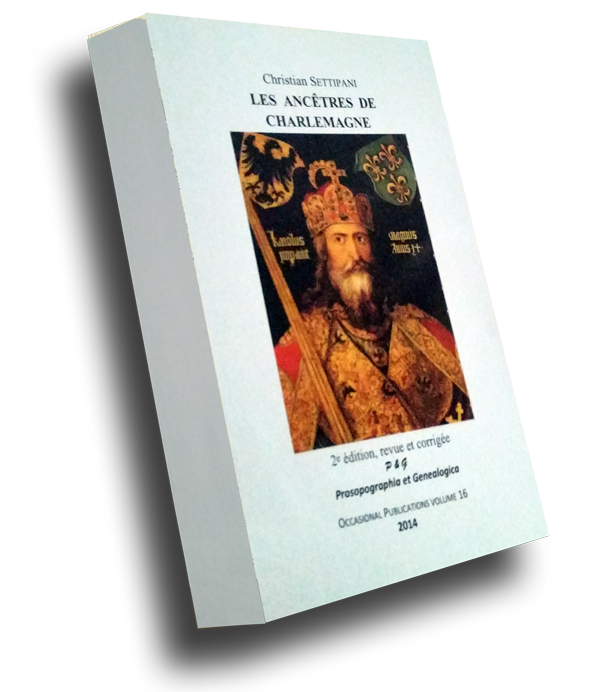 L’ascendance de Charlemagne n’a cessé depuis le IXe siècle de fasciner généalogistes et historiens. L’envergure du personnage peut certes expliquer cette fascination. Mais Charlemagne, père de l’Europe, est aussi l’ancêtre de la plupart des Européens, de sorte que ses ascendants sont aussi les nôtres. C’est le propos de cet ouvrage, refonte complète d’un livre publié en 1989, d’apporter des réponses aux nombreuses questions restées en suspens depuis des siècles. Au terme d’une enquête minutieuse et passionnante, le lecteur découvrira les parentés certaines ou probable de l’empereur : ses liens avec la dynastie des Mérovingiens en Gaule, les dynasties des autres royaumes germaniques ou les familles sénatoriales romaines. Christian Settipani, docteur en Histoire, est spécialiste de la continuité des familles du Haut Moyen Âge et de l’Antiquité et a publié de nombreux autres travaux sur ces questions. Prices in Euros and US Dollars are vailable on request. To place an order go to Order Form.